It's become quite apparent I've been reaching for the same perfume, the same same blusher, the same face base and the same lip pencil. So this blog post is the first in a series called- Show 'n' Tell, I thought the title was quirky and relevant. I'm glad to see splashes of colour, I am still hopeful for long warm sunny days. Escada have released their Summer Limited Edition fragrance like they do each year and each year they create something magical. I didn't think they could top my all time favourite Summer Escada scent- Taj Sunset but I think they just have. 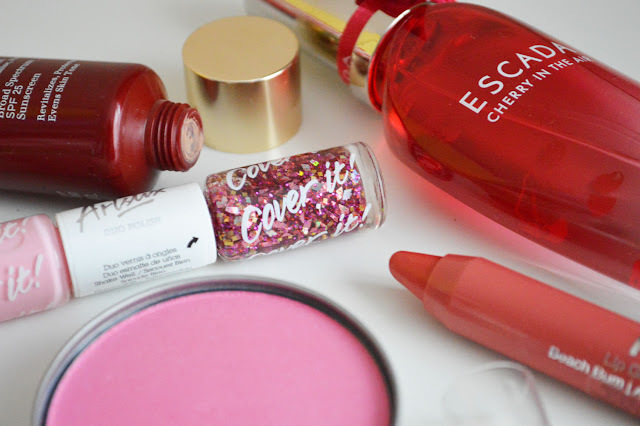 Escada Cherry In The Air is sweet, fresh and fun and quite surprisingly long lasting. I often find Summer scents to be diluted and subtle but this certainly packs a punch and lasts all day long. Fruity top notes, black cherry, raspberry and mandarin give a sweet fruity burst with a seductive floral woody dry down. As for makeup I have reached for the new Clarins BB Skin Perfecting Cream, I have the shade light which works fine for me. The formulation is rich but lightweight, I use a pea sized amount on the centre of my face and blend outwards. That way I'm not over using product, which we're all guilty of. The coverage is medium depending if you build it up. If I'm having a bad skin day I normally opt for a little concealing but have found I've needed to reach for the concealer when I've used this. A generous SPF25 the new BB Cream will hit counters next month. 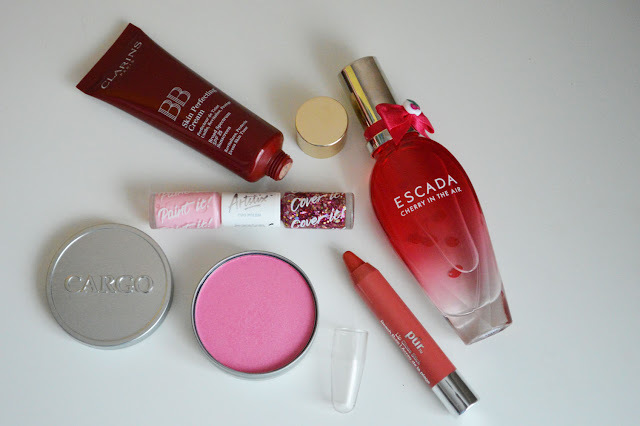 The next show 'n' Tell is very colourful, a pressed blusher from the brand Cargo. Whilst Cargo isn't a new brand to makeup artists worldwide it's certainly new to the UK. Cargo creates everyday wearable makeup which you can use and enjoy what ever the occasion. 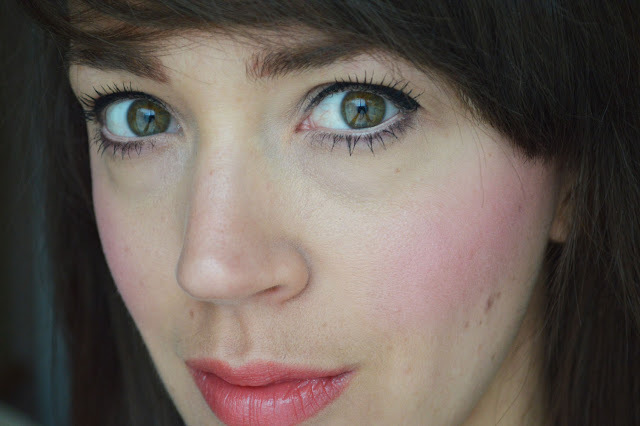 The Cargo Blush (£19.00) shade I have is Amalfi, as you can tell it's crazily bright but absolutley stunning. Very pigmented and finely milled, I use the Real techniques Blush brush. I like to use a full blush brush when applying vibrant shades, it adds a more flushed natural look. The selection of shades is exciting, I love the look of Rome, Catalina and Prague. They have a couple blushes which could easily double up as contour shades. 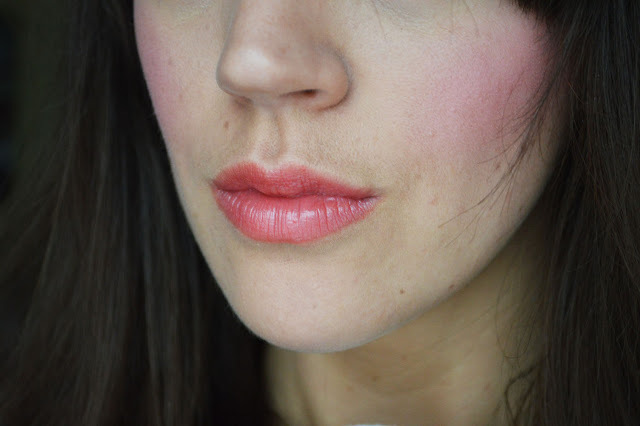 When I first saw the new Purminerals new Jumbo Lip Gloss Sticks (£16.00) I immediatley thought Clinique Chubby Sticks and Revlon Just Bitten Kissables. Having said that I passed judgement and gave them a chance... I can honestly say these are equally divine. In actual fact I prefer them over the Revlon version purely because of the scent. Whilst the Purminerals don't have a scent the Revlon ones do have a powerful mint scent which can be slightly off putting. The shades I have been enjoying are Berry Pretty, Honey Pie and my favourite shade and the one I'm featuring is Beach Bum. Enriched with Vitamin E, they feel lovely and soft on the lips and the colours are so flattering. 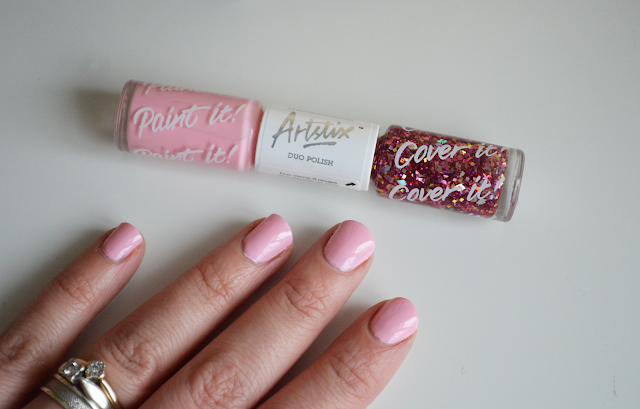 My last Show 'n' Tell is the new Models Own Artstix Duo Polish (£6.00) in the colourway Pink Stuff these launch nationwide this Wednesday (17th April) in Boots Stores so keep a look out for them because I think these will be popular. 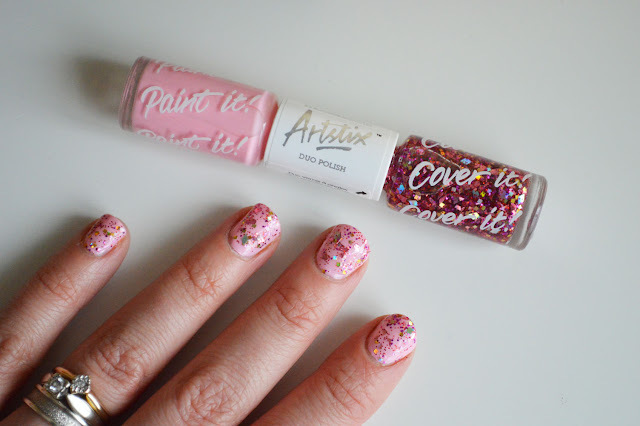 Models Own coordinated their top best selling nail polishes along with their best selling glitter polishes and created eight sparkling combinations known as the Artstix Duo Polishes. Such a great idea. I adore the slimline packaging, the cover it side is packed full of holographic confetti and glitter. I would go as far to say this gives a better coat of glitter than the O.P.I polishes. I always go for 2 coats when using a glittery topcoat but I only needed one coat with this. Very impressive. What did you think of the new Show 'n' Tell series? Any favourites you like? I love the new Show 'n' Tell series! I look forward to seeing more. 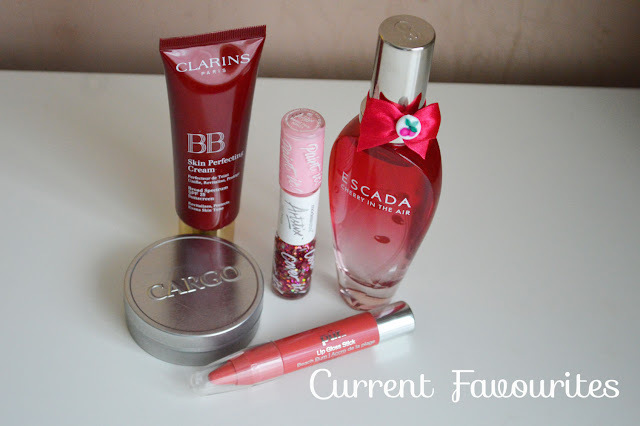 I really love your current favourites as well, it's all so pretty!